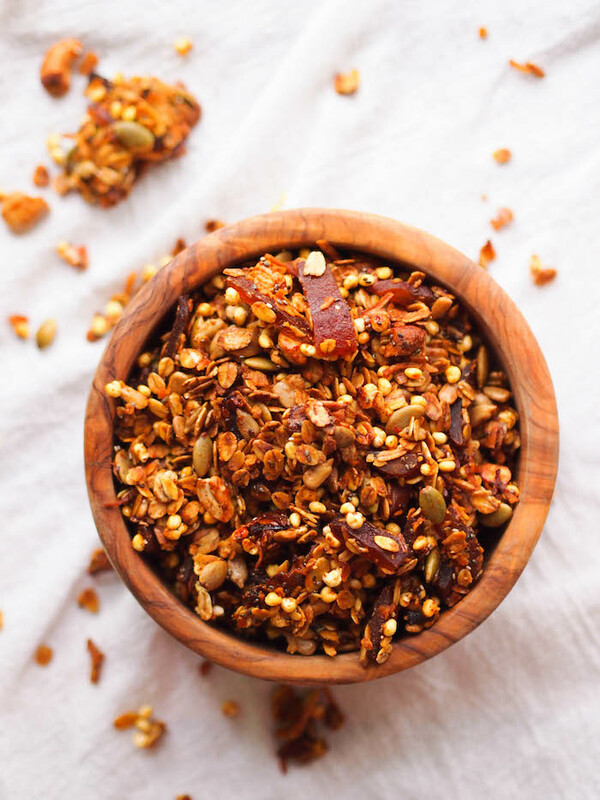 Switch up your granola game with this savory curry coconut granola with chile spiced dried mango! Happy Friday! As you're reading this, Scott and I are either in Atlanta or in transit for the wedding of two of our dearest friends. The bride is one of my best friends from college and the groom is one of Scott's best friends from middle school. They actually first met at our housewarming party and then more officially at our wedding. 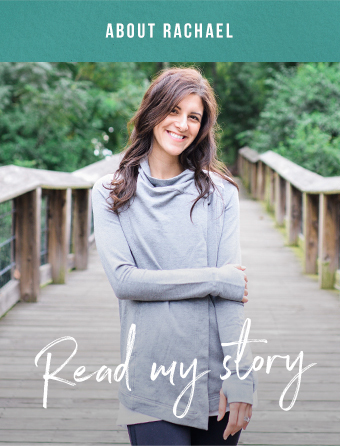 I'd share the full story, but it's much too embarrassing (for my brother, of all people, not them). Also I've told it about 3,347 times in real life because I've realized I'm one of those people who tells the same story over and over again, the result of an autosomal dominant gene on my paternal side. Being on a road trip, you know we'll have plenty of travel snacks. I'm probably driving with fellow dietitian and one of my other best friends from college, Barb (of homemade yogurt fame). We've had many a road trip in our almost 15 years of friendship, but gone are the days of stopping at McDonalds. Now we do things like pack baggies of sprouted lentils, go to the drive thru for hot tea and lattes, and drive 30 minutes out of the way for artisan chocolate drinks. Granola is another one of my favorite travel snacks. It's filling, portable and tasty! But for snacks, I tend to prefer savory over sweet. I've had this idea for savory granola ever since last years trip with California Almonds. One of our activities was a snack contest featuring almonds and my group came up with a savory curry and chili spiced granola bar. While I think our bar tasted the best (purely speculative as I did not taste any of the other entries), it lost on based on the fact that we couldn't get it to stick together in bar form. Sigh...unrecognized genius. Feel free to use any mix of nuts and grains you like. I really like using uncooked quinoa in granola for extra crunch. I had half a bag of puffed millet on hand leftover from making these marshmallow free crispy treats, but you could also use puffed brown rice or quinoa flakes. Or just keep it simple with all oats. Don't make the same mistake I always make and add the dried fruit before baking. It makes it chewy and gives it a little bit of a burnt flavor. Stir it in after baking and cooling. You can find chili spiced mango, which is an addictive blend of sweet and spicy, at Trader Joes, or order it online. If you can find it, swap plain dried mango, dried pineapple or apricots and maybe add a teaspoon of chili powder with the curry. In a large bowl, stir together oats, puffed millet, nuts and seeds, and coconut. In another bowl, whisk together honey, coconut oil, curry powder and salt. Pour wet mixture over granola and stir to combine. 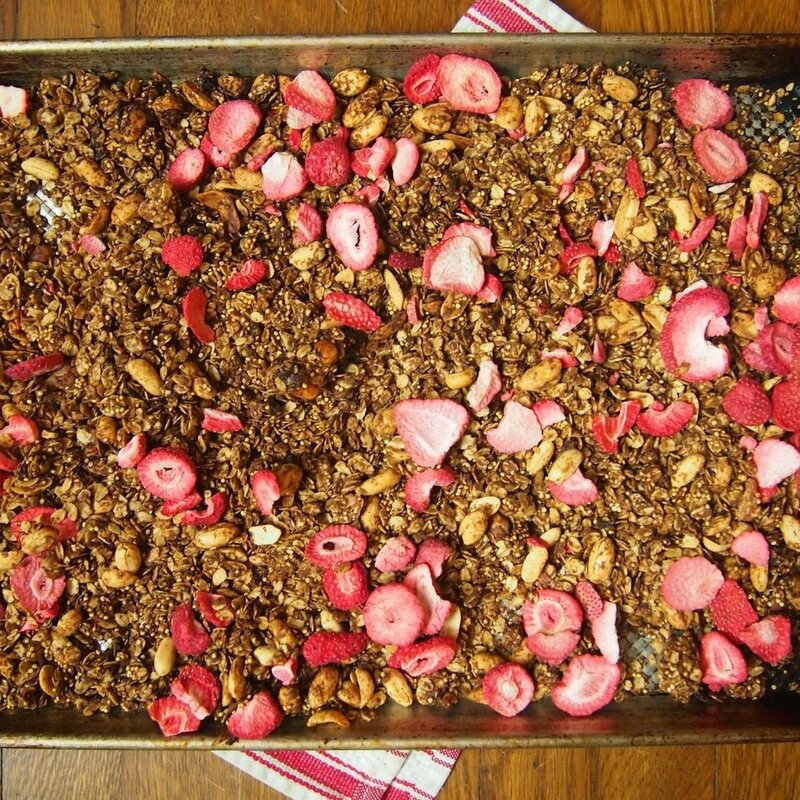 Pour granola mixture onto baking sheet and spread evenly with a spatula. Bake 40 minutes, stirring lightly halfway. Remove from oven, set aside to cool then store covered at room temperature.